The choice is yours! Whether you use this imaginative metal mouse as a charming accent or as a cheerful water giver in the garden, it's sure to delight! With a nose for putting water right where you want it, this handcrafted metal house mouse can be tipped to refresh plants or filled with blooms as a unique vase. 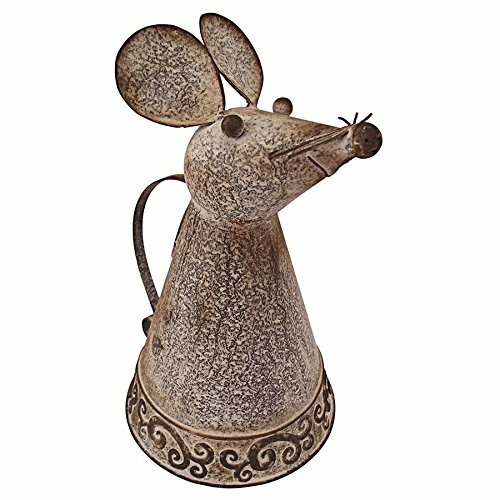 Fun to give or receive, this unique mouse watering can is a fast favorite found only at Design Toscano! Holds approx. 56 ounces. 7½"Wx9"Dx12½"H. 2 lbs. If you have any questions about this product by Prugist, contact us by completing and submitting the form below. If you are looking for a specif part number, please include it with your message.